Dad Hats? Snapbacks? Flat Brims? Beanies? All on Sale THIS WEEK! All Herbivore hats are $6 off through Sunday! Use the discount code 6OFFHATS. A few weeks ago, we added some awesome new hats to the Herbivore collection. We hope you love them just as much as we do!!! With all these colors, styles, and designs, we think there's a Herbivore hat for every vegan out there. This week, we wanted to give y'all a head start for the fall. 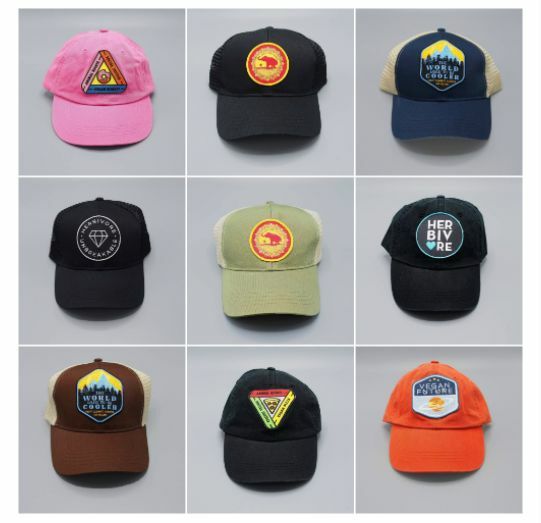 So we put ALL of our hats on sale! All Herbivore hats are $6 off through Sunday! Use the discount code 6OFFHATS. Whether you are passionate about animal rights, can't stop thinking about vegan donuts, need some good luck, or believe in the vegan future, there's an Herbivore hat just waiting for you. And if you don't believe us, just take a look for yourself!